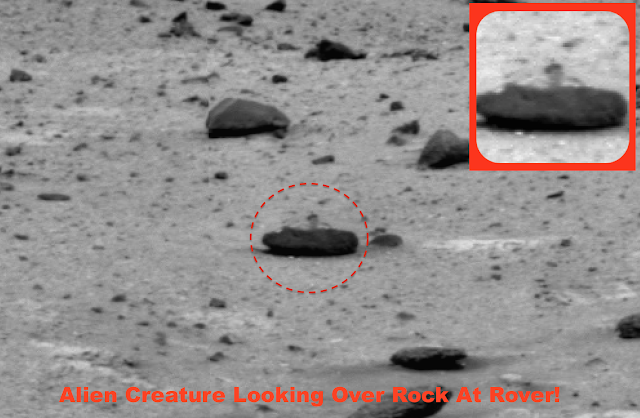 UFO SIGHTINGS DAILY: Alien Critter Found On Mars, Gazing At Rover Aug 30, 2015, UFO Sighting News. Alien Critter Found On Mars, Gazing At Rover Aug 30, 2015, UFO Sighting News. Update: Aug 31, 2015. 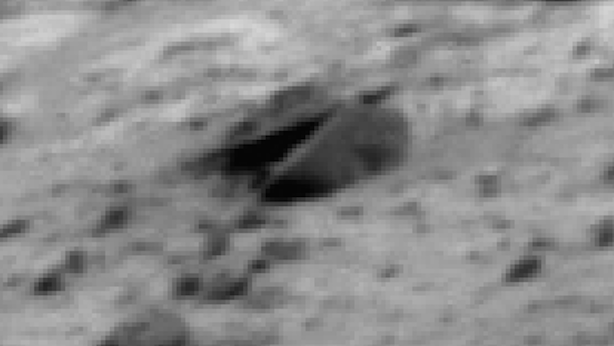 I made a map photo of the items below. While looking over a Mars photo, I found a lot of amazing structures, but the most important of them all is the life form. 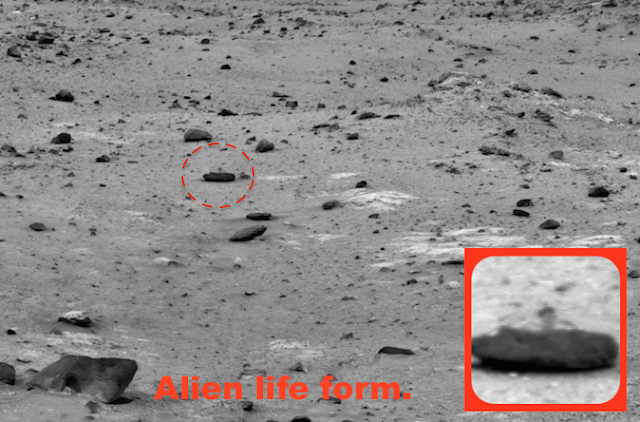 There is a life form looking over a rock at the Mars rover. It looks like it has a single long eye, two long bent arms and a thin body. 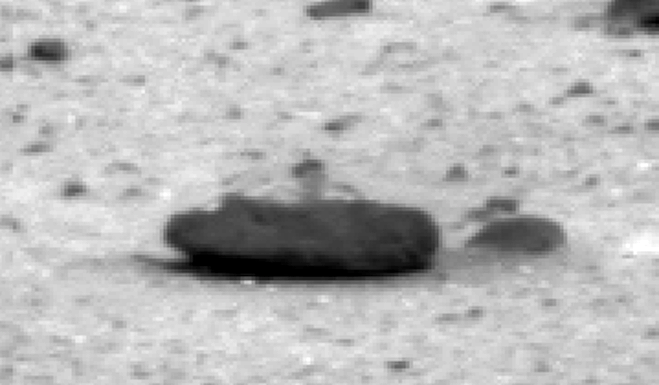 The legs are not visible behind the rock. 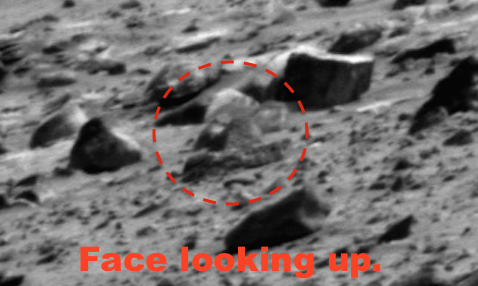 There are also some other interesting discoveries I made. 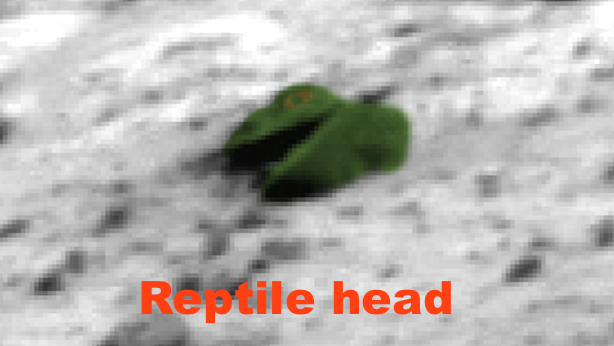 I found another reptilian head that looks like a lizard. I found two more ships, one of a design thats very artistic. 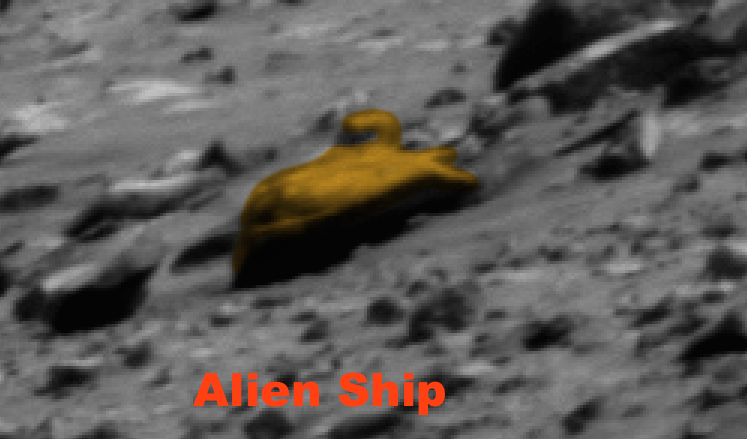 The other ship flat and long with a cockpit window. There is a also a head looking up at the sky which looks aquatic, because it has a fin for an ear. 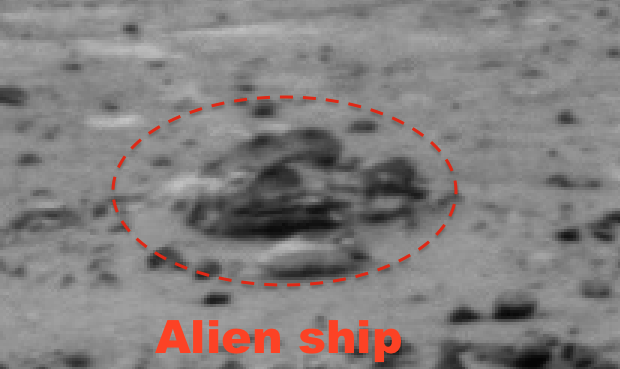 There is so much evidence of intelligent life in this NASA photo, its really amazing that the public hasn't done this kind of research long ago. I wonder what stigma is stoping them from trying?